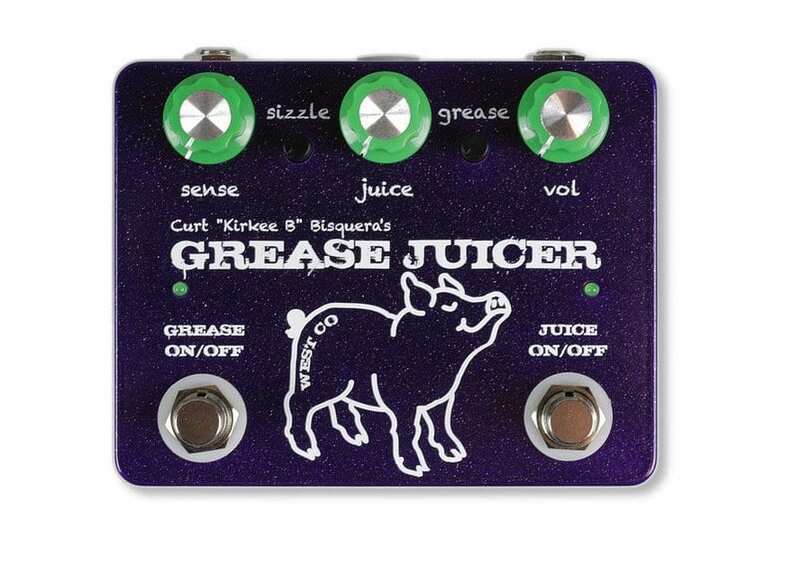 West Co Pedals has just announced its new pedal by Curt Bisquera: Enter the Grease Juicer fuzz/envelope filter pedal! Designed by a drummer, this thing is full of funky, fuzzy goodness. 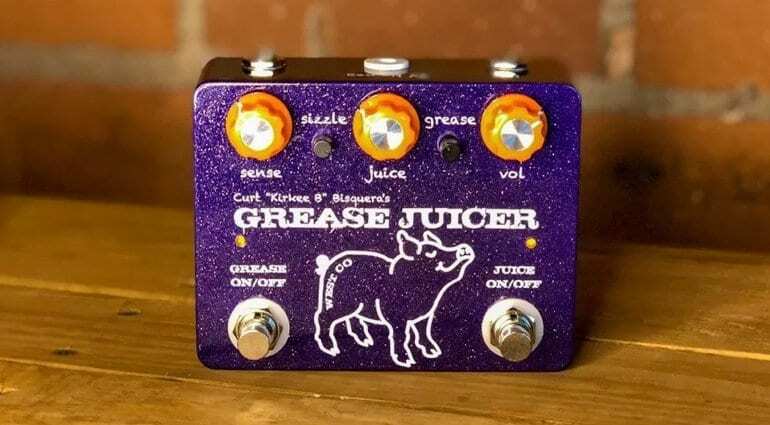 The Grease Juicer fuzz/envelope filter pedal is availabel in two versions, one voiced for guitar and the other for bass. West Co Pedals says you can use the effect on all types of instruments, though, including synths etc. 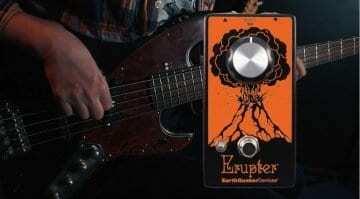 The pedal’s detector and audio circuits are specifically tweaked either for a guitar (orange knob and LED version) or bass (green knob and LED version) of the pedal. The pedal design is “inspired” by Curt Bisquera, which is quite interesting as he is a drummer and so neither a guitarist or bass player. The circuit has a fully analogue signal path and combines a fuzz with an envelope filter, plus a handy sidechain feature. 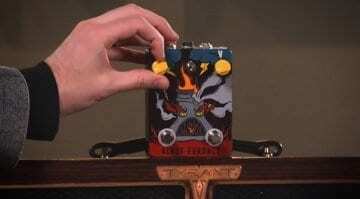 The controls consist of a footswitch-able fuzz which runs into the front of the envelope filter. You then use the Sense (sensitivity), Juice (resonance), Volume, Sizzle (gating) and Grease (distortion/fuzz) to dial the sound in to taste. 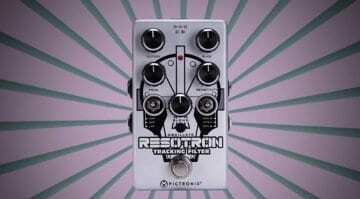 My advice would be to watch the demo video below with Pete Thorn and get a feel for what this funky little box of fuzz can do. The first 10 units will also be signed by Curt Bisquera. You can order one from West Co in California using the link below. 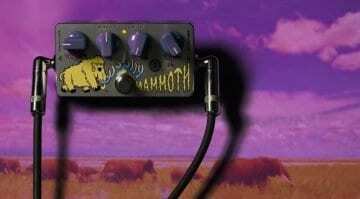 ZVex Germanium Woolly Mammoth Mod fuzz pedal: Neolithic fuzz tone?